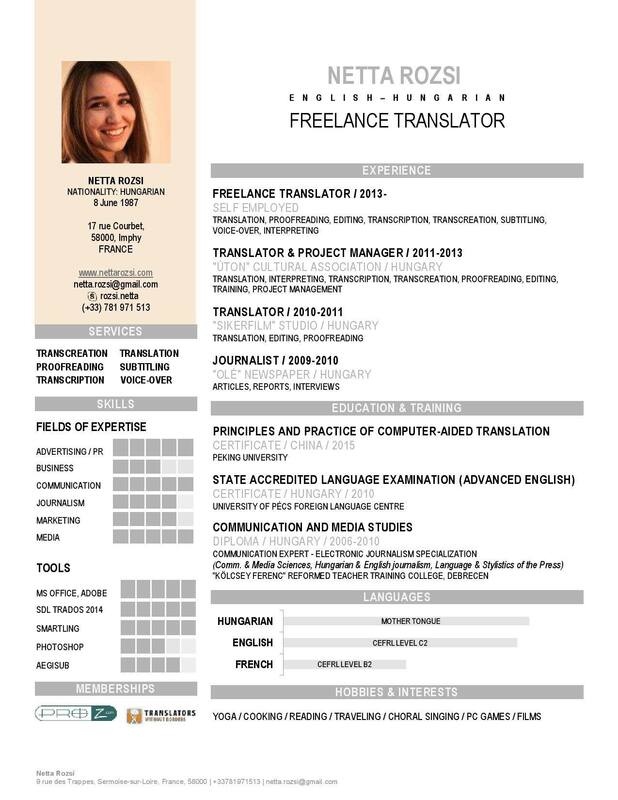 I am a professional native Hungarian freelance translator and interpreter based in the middle of France. I collaborate with both agencies and private clients. Over the past few years, I have gained experience in many different fields of specialization, especially marketing, media, and transcreation. Please, feel free to contact me if you have any questions or I can help you with a project.